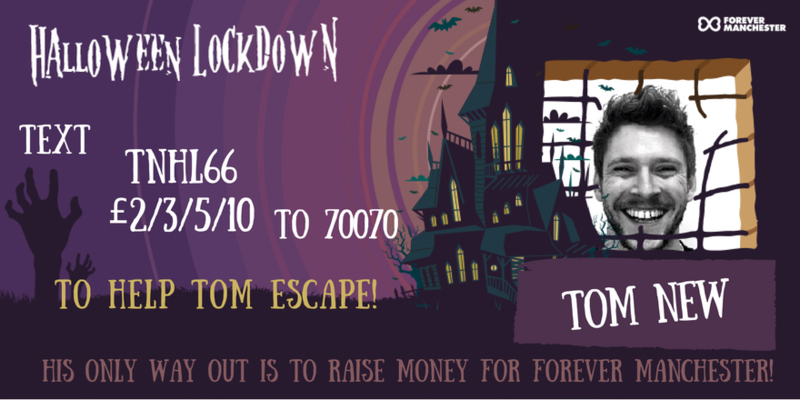 There’s just two days until two of our spookiest fundraisers. 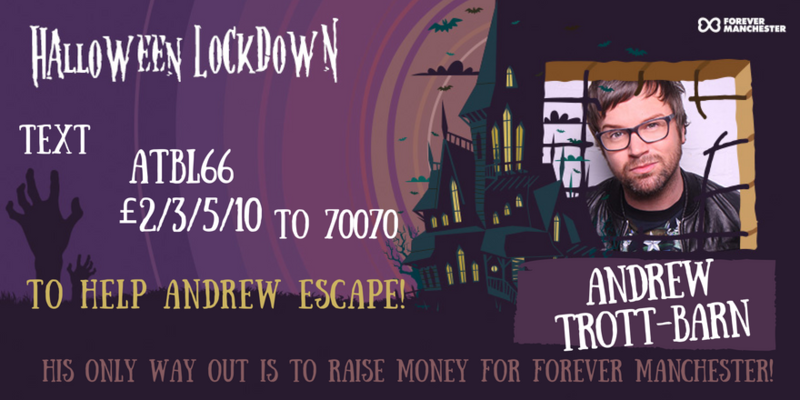 Andrew Trott-Barn and The Mirror Ball team will be bringing spine-chilling glamour back in the fourth annual Halloween Spooktacular, kindly sponsored by ANS, and we’ve seven Manchester personalities braving it in our Halloween Lockdown. 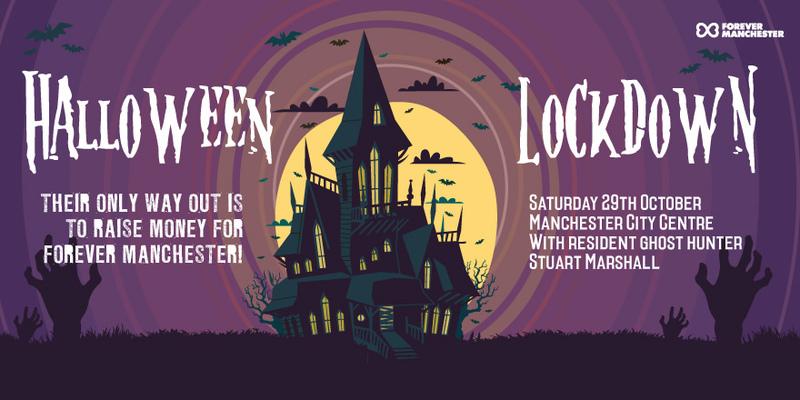 Manchester is again set to show the world how we put the ‘fancy’ in fancy dress with yet another glamorous, celebrity-packed Halloween night to remember. 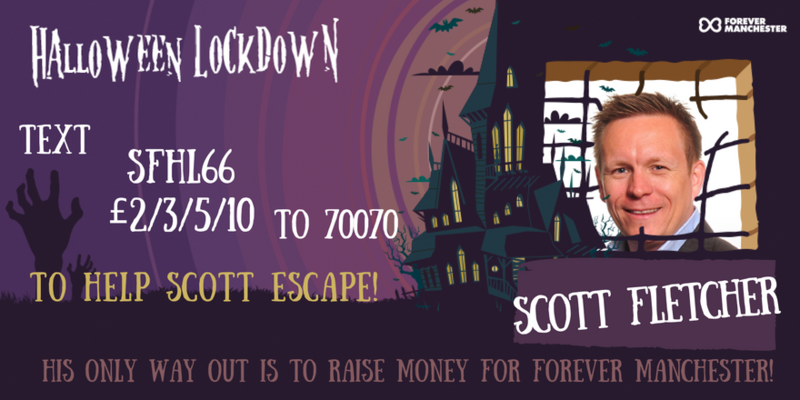 Over 500 tickets have already been snapped up for the Halloween Spooktacular. 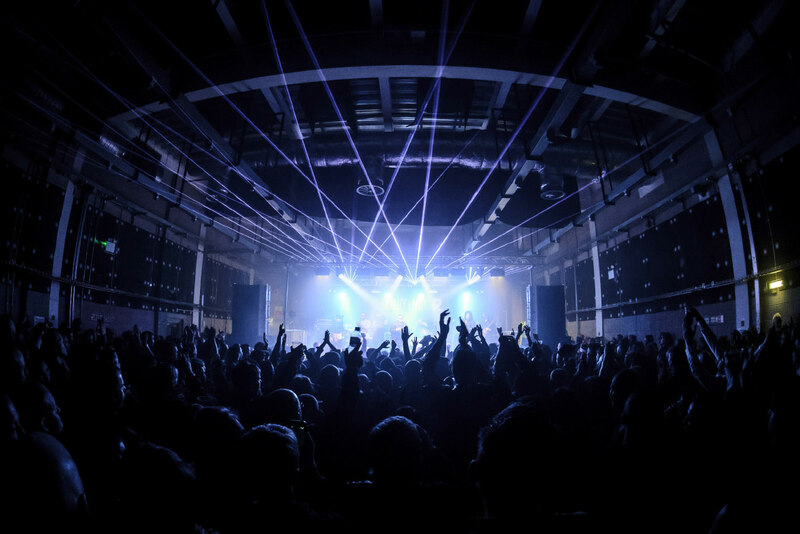 This year’s event will be hosted at city centre hotspot Old Granada Studios. 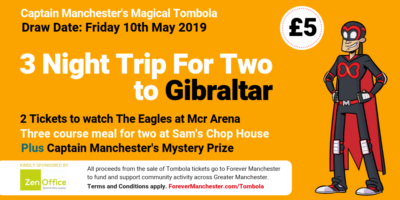 There are bound to be plenty of ghoulish surprises in this building which used to house TV greats from Cracker and The Royle Family to Coronation Street and Brideshead Revisited. 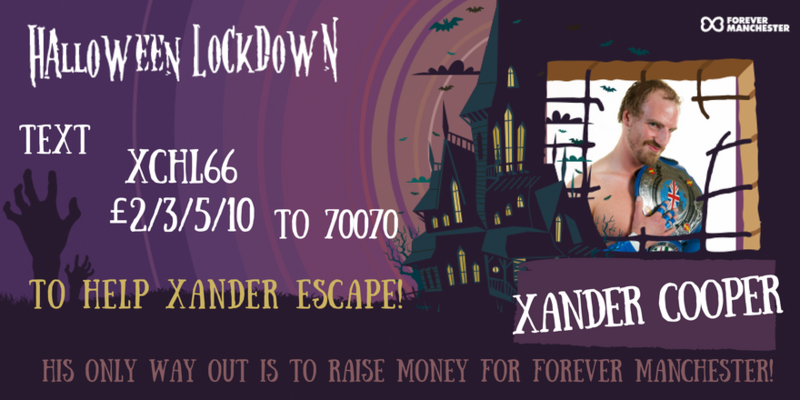 A group of brave ghost hunters will gather in the bowels of Old Granada Studios on the same evening to expose the dastardly goings on of Manchester’s undead whilst simultaneously raising cash for us. 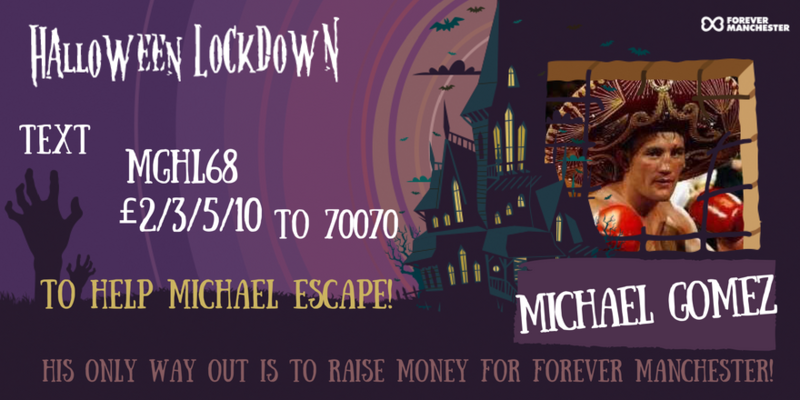 Their only way out is to get friends and family to raise as much cash as they can for Forever Manchester. 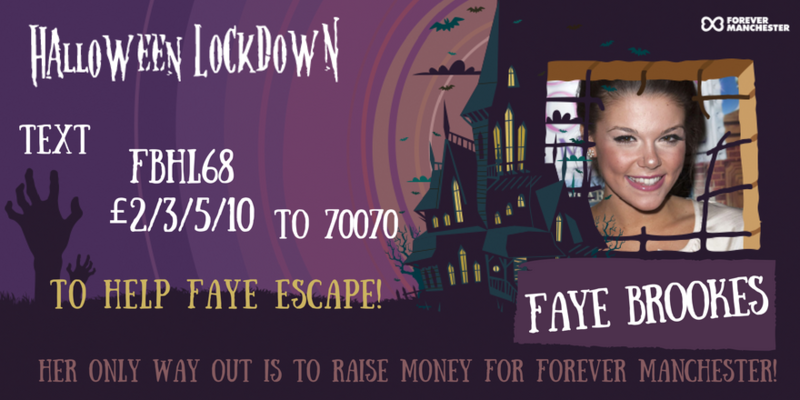 Click each picture to be led to their JustGiving page. 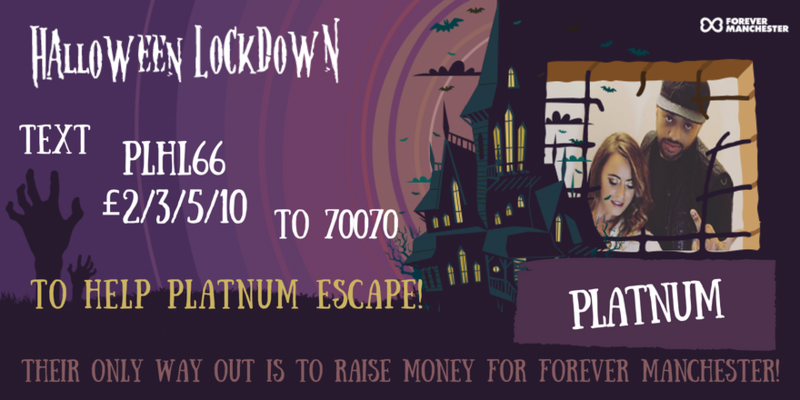 Depending on how much money is in each competitor’s JustGiving account – they will either be released and whisked off to Forever Manchester’s Halloween Spooktacular to party the night away, or they will be locked up for even longer until the last man or woman standing is solo.